After my previous post on "Top 11 things to do in Prague", I have received quite a bit of enquiries about travelling in Prague. Hence, I decided to write a short post on "Tips to travel in Prague" and hopefully this post will give you some helpful insights and ease your travel planning for Prague. Many wonder if Prague accepts Euro. Well yes, some places do but I wouldn't recommend it as you get a much lower exchange rate so it is not favourable. Hence, I'd suggest using their local currency which is Czech Koruna (CZK) a.k.a. Czech Crown when you are in Prague. Airport and hotels are NEVER good places to change your money. So DO NOT change your money there unless you don't mind being charged really high rates! I would not say ALL money changers in town offer HONEST and good rate either. The trick is the 0% COMMISSION display to lure you in. But once you hand over your money, you realise you are getting at least 10-15% lesser than expected. Why? Because it turns out that the "no commission" rule only applies if you change a big amount of money. So never ever fall into the trap. Make sure you ask necessary questions like the exchange rate and under WHAT CIRCUMSTANCES would you entitled to "no commission". Never ever change your money with someone who offers a "better rate" on the streets (No matter how legit he or even her looks like). Who knows, you may end up having Hungarian Forints instead, which equivalent to a much lower value than CZK. 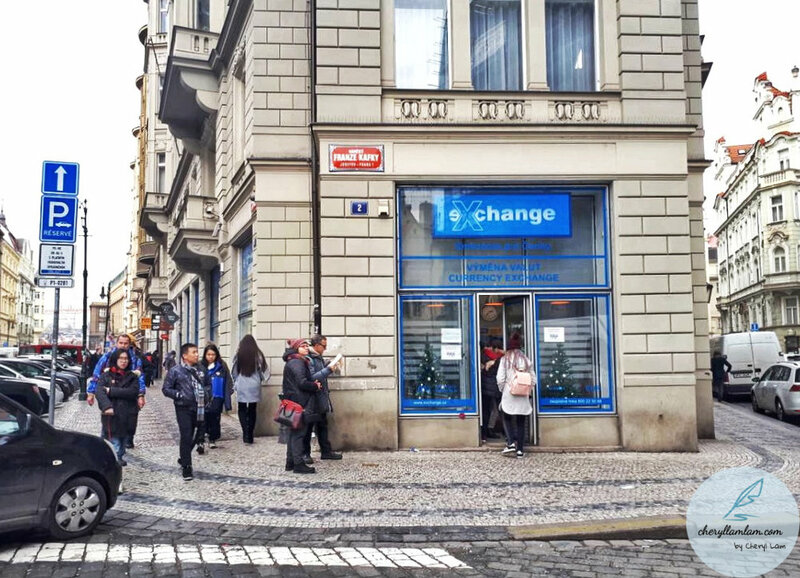 The one place I would recommend getting your money changed is the Exchange Booth at Kaprova 14/13, 11000 Josefov Czechia. 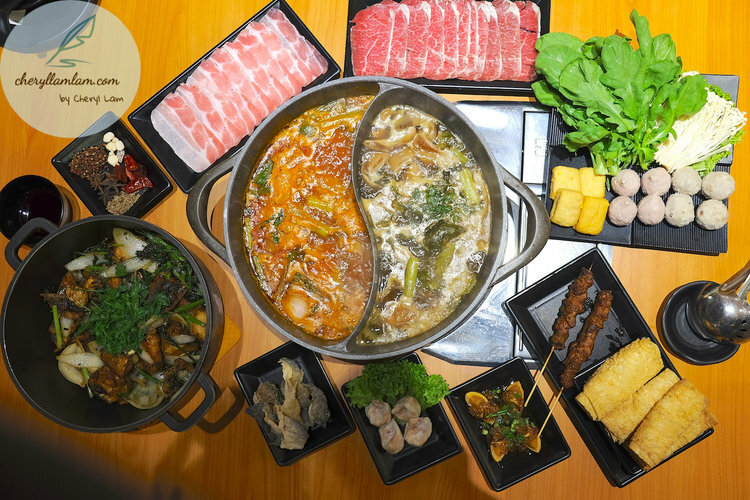 It is not far from Old Town Square and they offer fair and reasonable rates with no commission charges. You can rest assure this is one of the best place to change your Euros to Czech Crowns. However, there are several other money changers around it so do make sure you go to the right one as pictured below. Taxi drivers in Prague are unfortunately, notorious for scamming and ripping off tourists. I would not suggest waving a cab on the street or even taking them at all. But if you MUST take the cab due to emergency, make sure you ask about the price in advance and tell the driver you require a receipt at the end of the journey, which indicates they have to turn the meter on. Most importantly, make sure you guys understand the communication thoroughly (language may be a barrier) to avoid unnecessary "misunderstandings". Prague has one of the best public transportation systems in Europe so taking a metro, tram or bus should not be difficult. But make sure you get your tickets validated before you board them because having an unvalidated ticket with you does not make your trip valid and you may end up in fines. We were there for 3 full days and we walked entirely for the first 2 days, and only took the metro to Vysehrad Castle on the 3rd day. It is definitely walkable between Old Town Square and Prague Castle via the Charles Bridge. All you need is time, patience and be ready to soak in all the beautiful views along the journey. We didn't think the walk was strenuous at all and we actually enjoyed walking in Prague as it enables us to view this beautiful city better. Beautiful city comes with a price. What do I mean by that? Prague's beauty attracts thousands of tourists every year. Not only it attracts impressed tourists, it attracts unwanted pick pockets too! So, please come to your senses when travelling to places notorious for pick pockets. Rule of thumb, always keep an eye on your handbags or camera. When you are in a crowded place (especially Charles Bridge during summer), make sure you put a hand over your bag and have your bag at the position where you can see it all the time. Also, be street smart and not be flashy. Prague itself is attractive enough and its really not necessary for you to attract the pick pockets as well. Layering and a pair of comfy shoes is the key here. The weather in Prague can be unpredictable and can be quite chilly and windy too especially around the Prague Castle area as it's located on the hill. You also want to wear a pair of comfortable shoes to walk the city as most of the streets are cobblestoned. So please leave your high heels at home. Ok, so you are walking around and wanting to look for some souvenirs to buy home for your friends and family. Then you walk pass dozens of shops offering sets of painted wooden dolls of decreasing size placed one inside another. Those, my dear, are called Matryoshka dolls and they are from RUSSIA, NOT Prague. When I first saw the dolls in the shops, I was like, huh? Why are there Russian dolls here in Prague? They sure are misleading, aren't they. So guys, Matryoshka doll is not the "correct" souvenir to get in Prague, OK? So the next question would be, what souvenir should we get from Prague then? I have 3 suggestions for you. Prague Beer - What's better than bringing home the pride of Prague? I bought home 6 cans of their popular 'Pilsner Urquell'. I find this beer has a rather bitter aftertaste. If you are not so much into bitter beer, you may opt for other alternatives like Budweiser-Budvar or Lobkowicz. Glass production - The Czech Republic is famous for its production of fine art glass. You will notice almost every tourist shop sells Czech glass and crystal ranging from souvenirs, jewellery to wine glasses, vases, glass decoration and so on. I suppose the price of high quality glass comes hefty. However, there is this one shop called 'Blue Praha' that I notice at several locations throughout the city which sells Czech homemade glass with reasonable prices. With the less expensive price, I think it makes a perfect gift to take home with you. Having a connection while travelling is always convenient. Despite most cafes and restaurants offer free WiFi, not ALL has fast and stable connection (which mean you may end up not able to get connected at all). You may think of getting a local sim card for data plan, but due to language barrier, the activation process may be a hassle. So what's better than renting a portable WiFi device? I used 'Mobile WiFi Europe' during my travel in Prague and it's great. Delicious breakfast! And that's quite a big thing to me! Apr 3 Czech out the Top 11 things to do when you are in Prague! Jan 16 How to stay connected with your friends & family while travelling in Europe!